This month seen Yorkshire based Crofter’s Foods Ltd sign for Season to become there all in one business management system. A family run business Crofter’s Foods began its life in 2005 as Grahame Armitage and his wife Jane identified the demand for local Yorkshire produce in their home county. Crofter’s now forms an efficient link between great local food and drink makers to retail and foodservice outlets through a robust and integrated supply chain. The business has thrived since its opening in 2005 and now Grahame has chosen Season to help him take the next step in growing the business as he has lofty ambitions for doubling in size over the coming 12 months. With Season Grahame wants to automate his telesales process and overall reduce his paper trail. The dedicated Season telesales module will not only automate this process but give his sales team all the tools they need to help boost performance. With access to customers’ order history, fast repeat orders, credit control info, fast product search and price tailoring at the point of order entry Crofter’s can expect to not only boost sales but increase efficiency, speed and reduce errors. Another key element in the selection of Season is the depth of key performance information available at their finger-tips. Information such as the Van loading report will provide details like the total weight of products on a van information which was previously time consuming to produce or impossible to be accurate. By automating these processes with Season Crofter’s can expect to speed up operations ensuring their customers get the right product at the right price on time. In order to help grow the company Crofter’s will look to analyse their business performance and with Season’s wealth of reporting options this information is available in just a few simple clicks. They will be able to analyse best and worst performing products and customers, see who has stopped buying from them, produce trend analysis and much more. Crofter’s Foods will be getting the latest version of Season 17. One of the many improvements is the migration to an SQL database which increases performance speeds and makes getting data out of the system simple and fast. 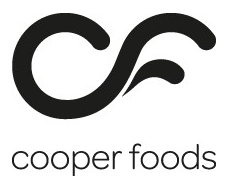 We would like to take this opportunity to welcome the entire Crofter’s Foods team to Season and we look forward to a long and prosperous partnership.